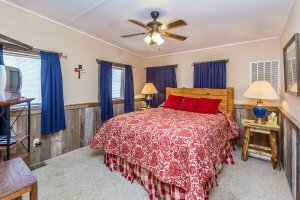 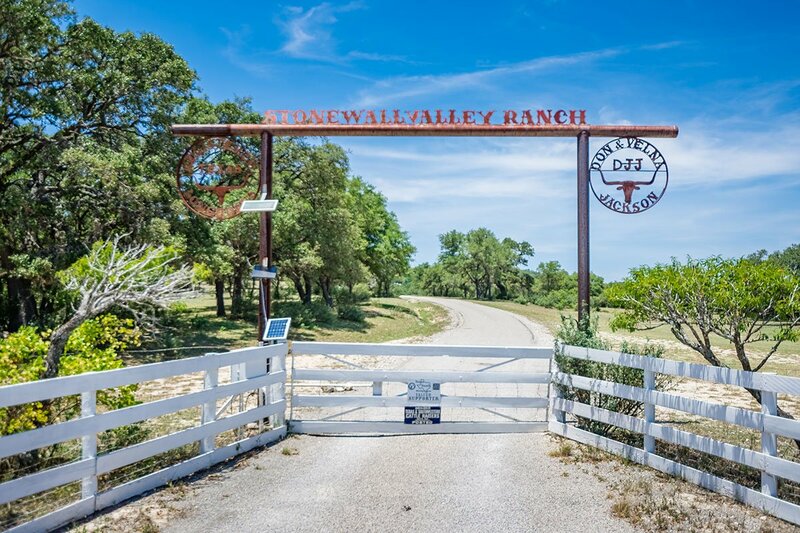 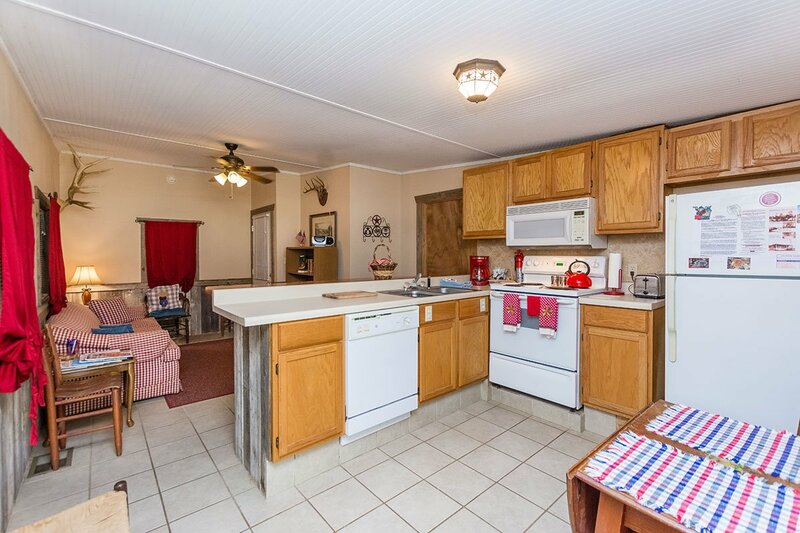 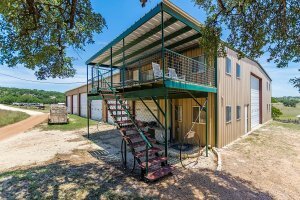 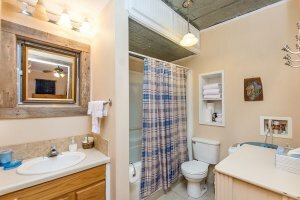 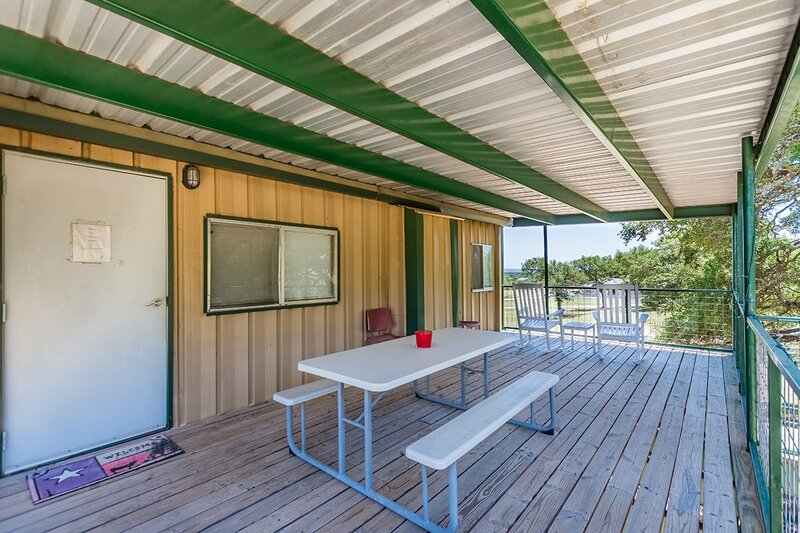 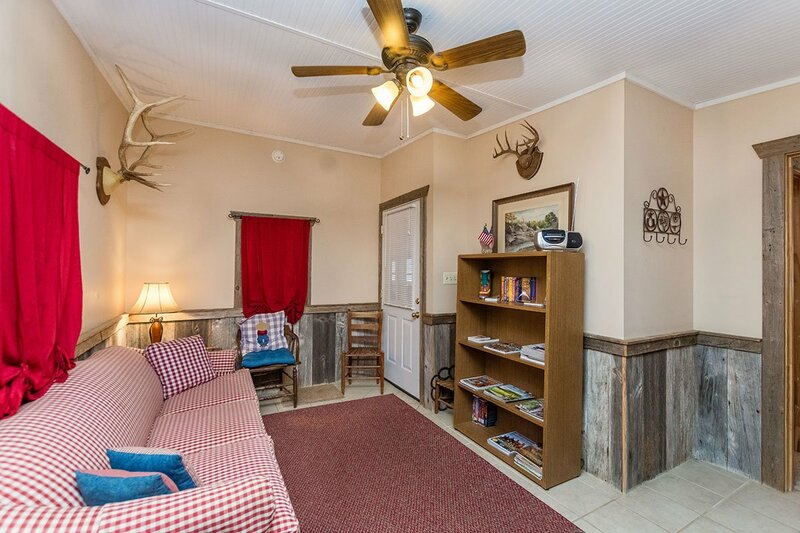 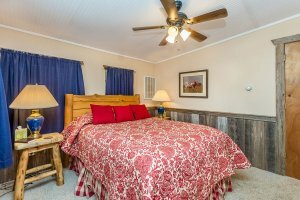 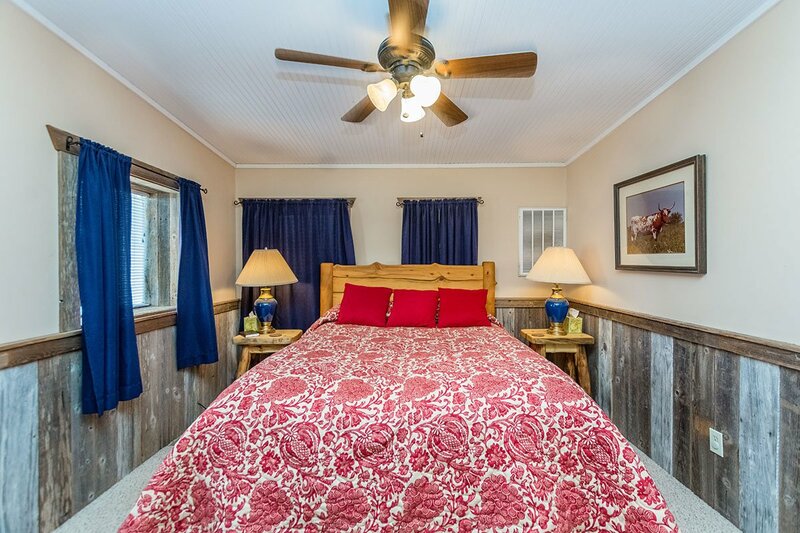 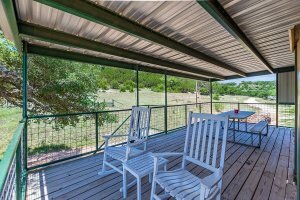 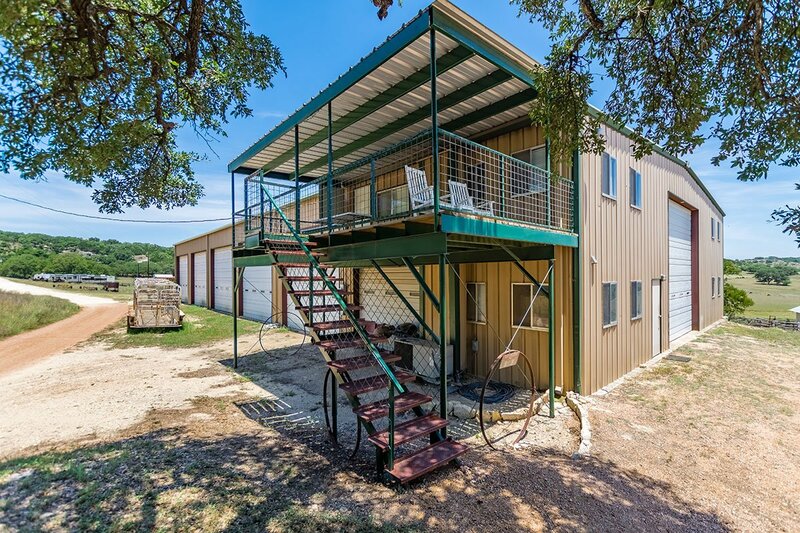 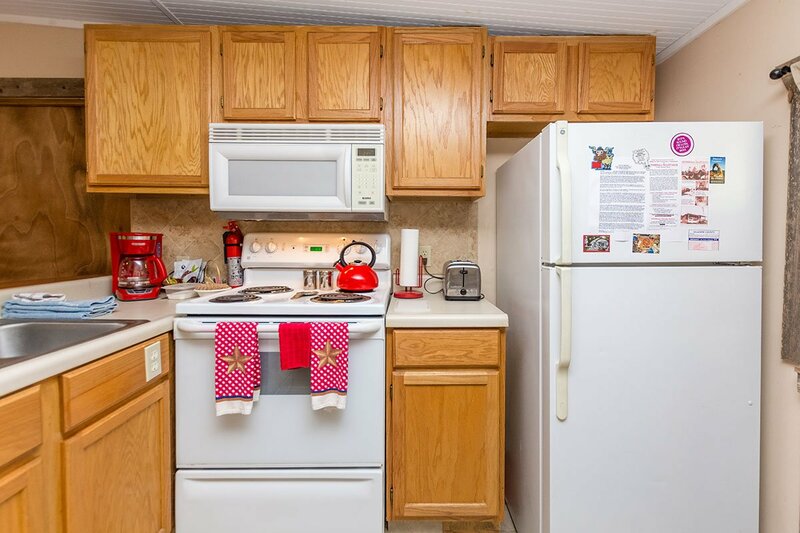 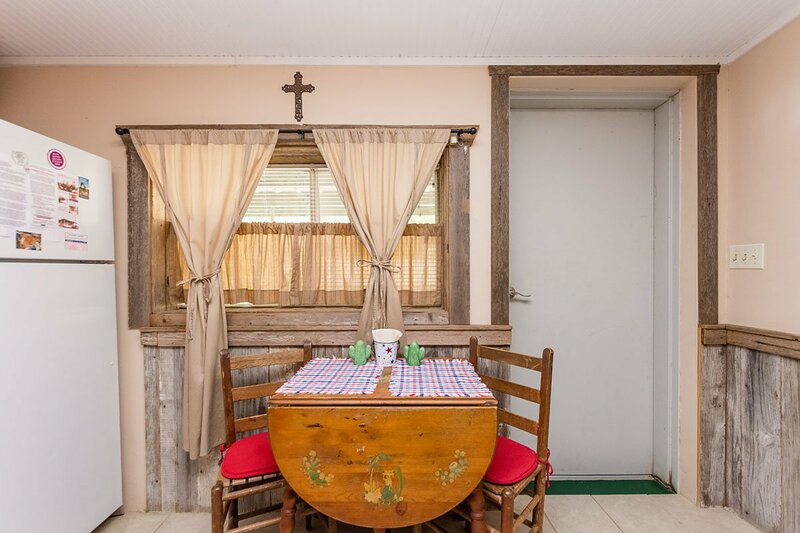 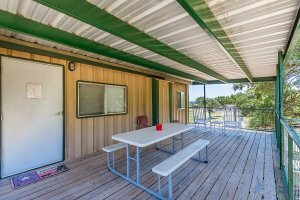 Home on the Range is located in the beautiful Texas Hill County just 14 miles east of Fredericksburg and 3 miles north of the LBJ ranch and park near Stonewall and not far from the “Wine Country” of Texas. 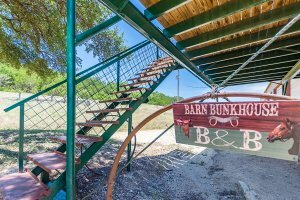 The sights and sounds of the Hill Country delight guests when they visit this real working cattle ranch. 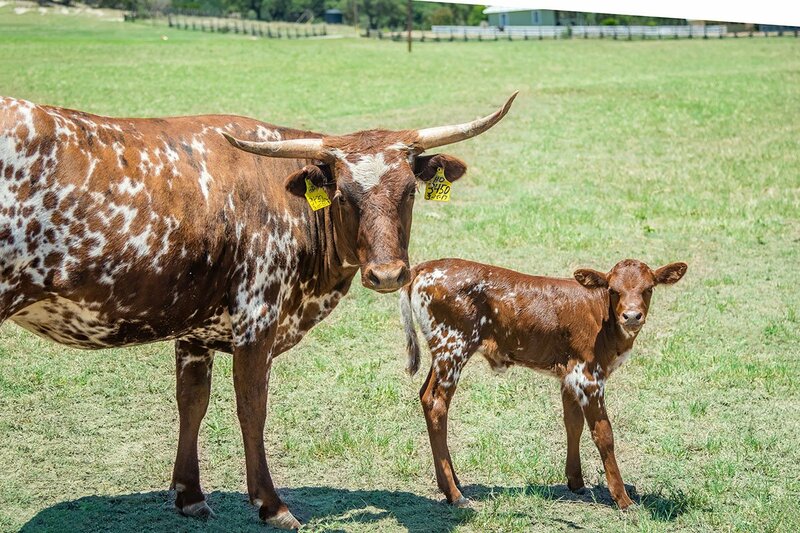 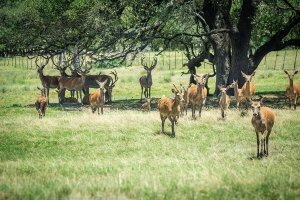 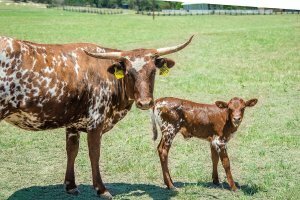 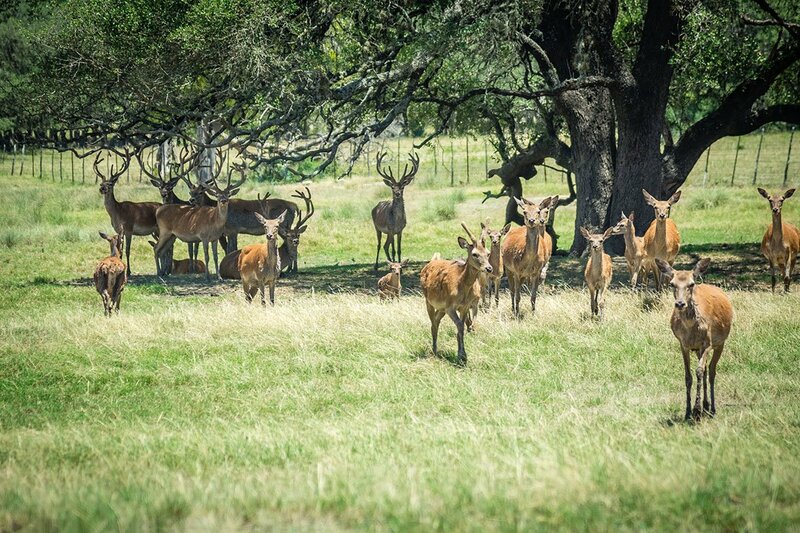 Guests enjoy viewing the many species of livestock, wildlife, and birds that make the ranch their home including: Texas Longhorns, horses, bison, white-tailed deer, axis deer, black buck antelope, red stag deer, exotic Mouflon, Barbados, and Corsican Sheep, Sandhill Cranes, wild turkey, and ducks. Guests also enjoy hiking or biking the ranch’s many trails (during hunting season, trails are limited), fishing (catch and release) for trophy bass and catfish in one of the ranch’s 9 water ponds, bird watching, and star gazing at night. 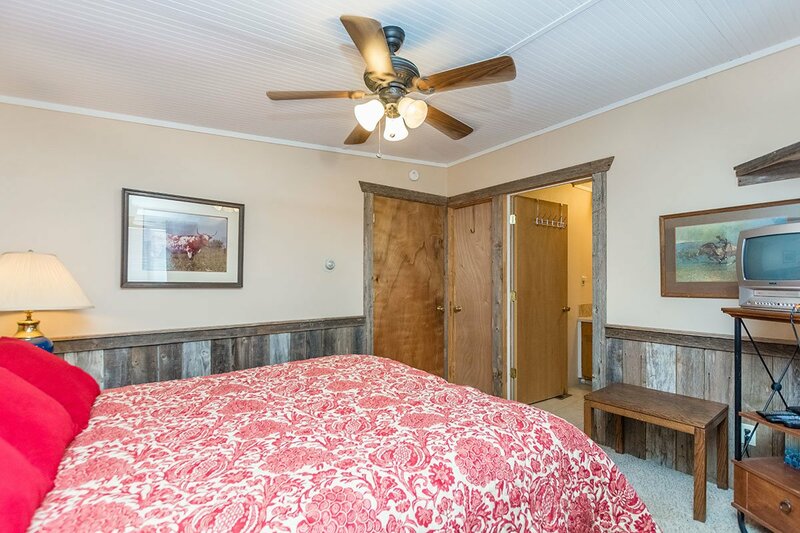 This unique Bunkhouse Apartment is furnished with a queen-size bed, a sleeper sofa, and a specially designed cedar bar in the kitchen and living room combination. There is an outside mezzanine deck with a table for outdoor dining and a panoramic view of the surrounding hills. 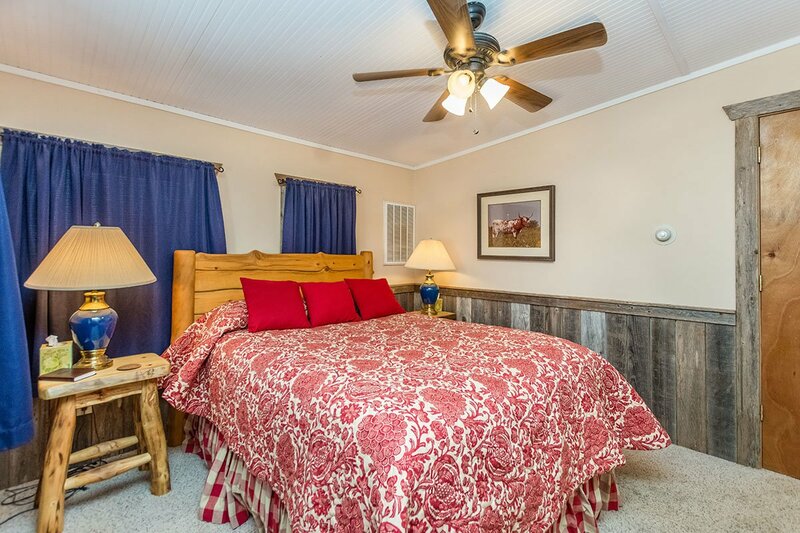 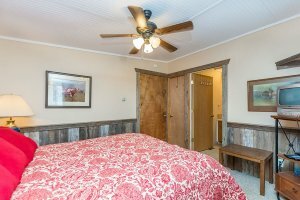 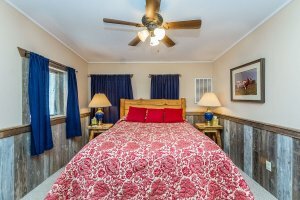 Reserve Home on the Range Guesthouse for an additional 7 guests.